After spending much of 2013 in the rumor mill, the Nexus 5 is now a formally recognized device. If you’ve been following the Android space at all over the last few weeks then you undoubtedly know all of the hardware specifications. Suffice it to say, it’s one of the worst kept secrets in the history of smartphones. 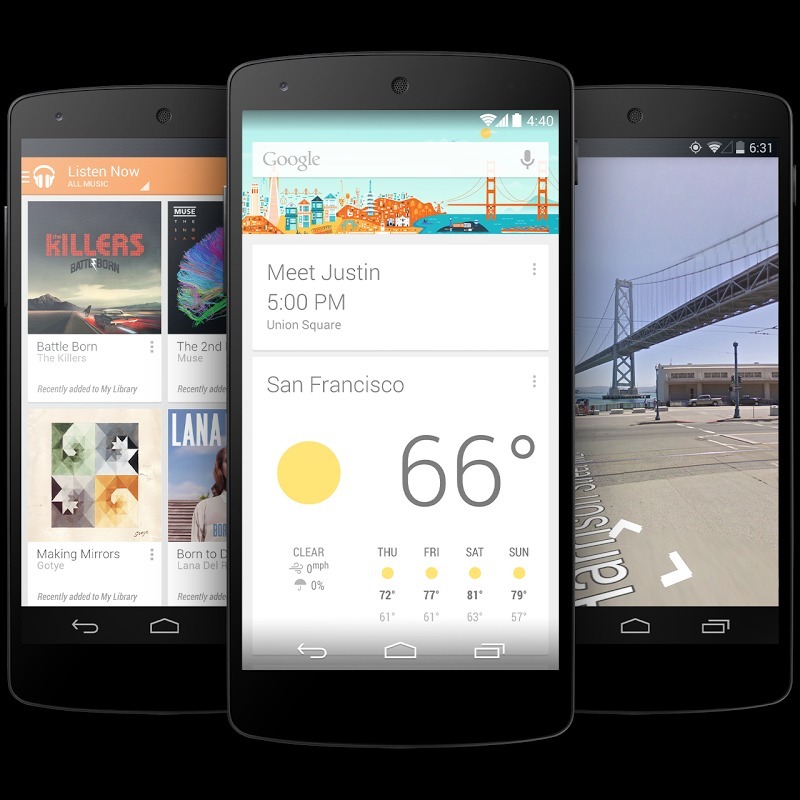 Powered by Android 4.4 KitKat, the LG Nexus 5 features impressive hardware that represents the Nexus brand quite nicely. Details include the 2.3GHz Qualcomm Snapdragon 800 processor, 2GB RAM, and 16GB/32GB internal storage. The display measures in at 5-inches (4.95″), offers 1920×1080 pixels (445ppi) and is protected by Corning’s Gorilla Glass 3. As expected, the Nexus 5 features a 1.3-megapixel front-facing camera and a rear, 8-megapixel camera with optical image stabilization. Diving a little bit deeper we find Bluetooth 4.0, 802.11 a/b/g/n/ac Wi-Fi, NFC, dual-microphones, SlimPort, and a 3.5mm headphone jack. 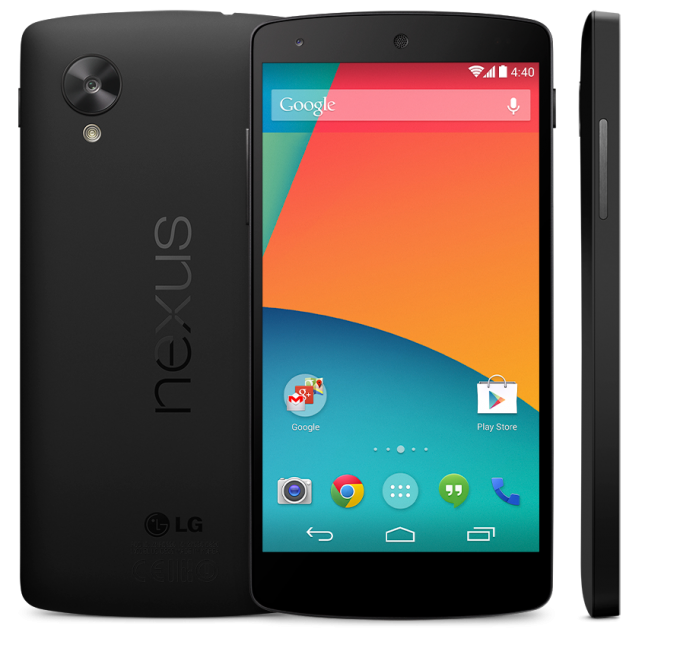 And, last but not least, the Nexus 5 offers 4G LTE connectivity. The Nexus 5 is offered in black and white options and looks to be sold in 16GB and 32GB models. Like the predecessors, the Nexus 5 can be purchased through the Google Play Store where you’ll find the unlocked device with all sorts of wonderful connectivity. The 16GB model is selling for $349 while the 32GB model fetches $399, both without contract.